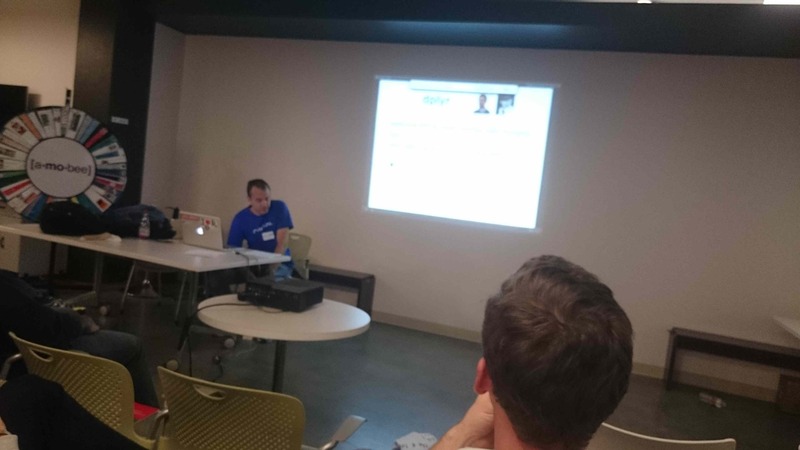 Last week the LA R meetup featured another round of 5 speakers each highlighting a few things they had found interesting at the useR! 2014 conference. This was the second such event after the first one in September – probably because useR! was awesome enough that it inspired 10 volunteers to stand up on stage and talk more about it. While I (Szilard Pafka) was the first speaker and I originally planned to talk about my perspective as an organizer at useR! 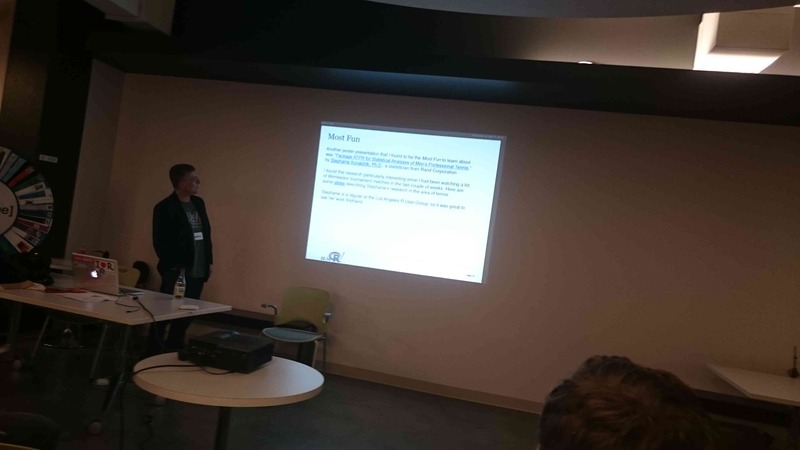 followed by a high-level overview of the conference, but a few days before the meetup I decided to talk about using dplyr with largish datasets instead (a very simple benchmark I’ve been running and have been excited about). Since I’d like to expand this idea for our blog, I’ll save the summary of this part for a subsequent post in the next few days – so stay tuned! Our second speaker, Ajay Gopal, the data everything guru at the Santa Monica startup CARD.com talked about a few aspects of using R in production. Ajay was also one of our excellent panelists at the previous LA R meetup about R in production organized during one of the evenings during the conference this past July.